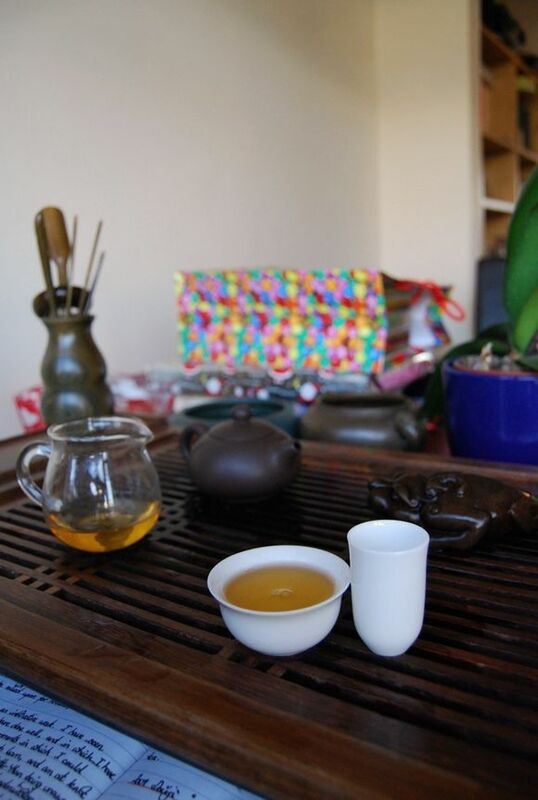 There's nothing more enjoyable when it comes to tea than some great leaves given as a kind gesture - ideally, taken with friends, but, if not, then appreciating the tea alone has its own magic. A teachum most musical took pity on us, miserable offenders, with a rather large chunk o' CNNP from the 1980s. When it comes to "1980s CNNP", we must appreciate that we are dealing with a wide spectrum: CNNP was the state entity responsible for "marketing" pu'ercha in the 1980s (if one does indeed "market" under Communism proper), and ten years is a long time. Even in my most limited experience, I have been fortunate enough to try not one but four teas that could be classified as "1980s CNNP", excluding various Menghai Qingbing. You've got to admire the figurative cojones of HC, who bought this 1980s from eBay - that's a decision not lightly to be taken, and requires a will of iron - there is much fakery around when it comes to mature pu'ercha. The leaves, pictured above, look credible, do they not? They're small, black, and (though you might struggle to determine this from the photograph) they have a delicately sweet scent. All fears abate when faced the dark density of the soup. Shown above, this is a rich, burgundy-coloured affair that sits as well in the stomach as you might imagine. Testament to HC's purchasing skills, it endures and has retained a significant potency, giving a most satisfying tangy presence in the throat that indicates good leaves. It is hard to fake that depth-of-character. The powderlike texture and the gently floral character remind me of Toki's and His Grace, the Duke of N's descriptions of "granny powder", which I assume to mean the traditional powder used during an older lady's morning preparations. It reminds me of the scent of my own dear grandmother, at least, from my childhood. Perhaps I should let you into a little secret, which I am sure is obvious: it's almost impossible to overbrew old tea. 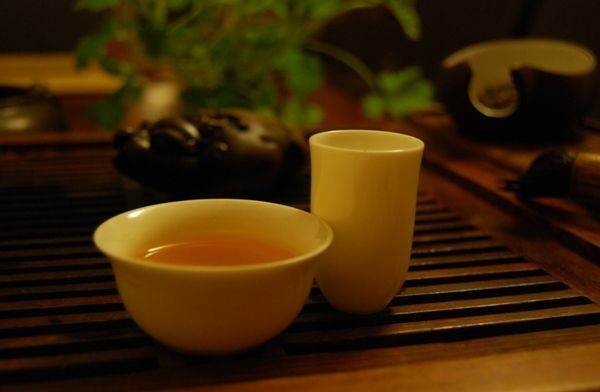 For those crazy, mindless fools (such as your humble correspondent) who spend the majority of their tea-time in hand-to-hand combat with young shengpu, the robustness and lack of aggression in old teas can seem like quite a change-of-pace, and a welcome one at that. I use plenty of leaves - the entire sample, in fact, and am rewarded with a thick, enduring soup that lasts forever. HC, I am most grateful for this excellent experience - thanks again. I came close to running out of samples to drink. This would probably have been a healthy circumstance, as it would have turned my attention back upon my own tea-shelves. However, my appetite for trying new tea knows no bounds, and so the arrival of a generous package of samples from Teavivre was most welcome. I don't think that I would ever have bought this cake, were it not for being sent a sample by the company. 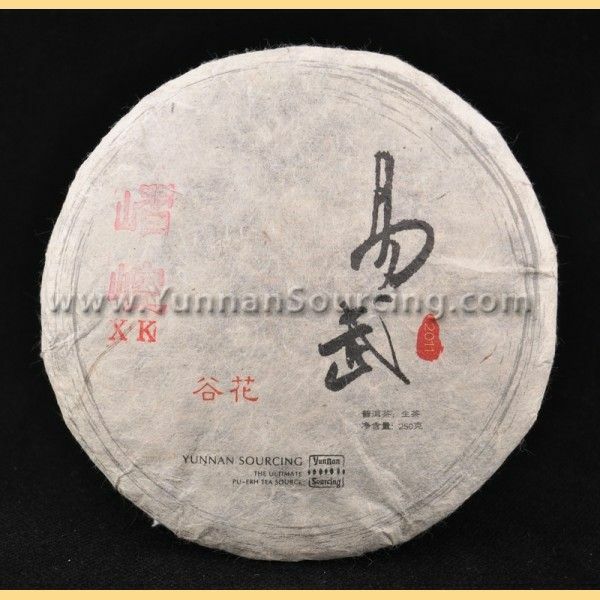 This is, more or less, the only shengpu cake that Teavivre sells, and so my eye usually skips over such things. However, I was in for quite a surprise. The samples arrived in an array of glossy, silver-coloured packets, as pictured above. Fengqing is a venerable enterprise, having been founded before the People's Republic. There are few established companies that survived the tumult of the decades between then and now, and so Fengqing demands respect. 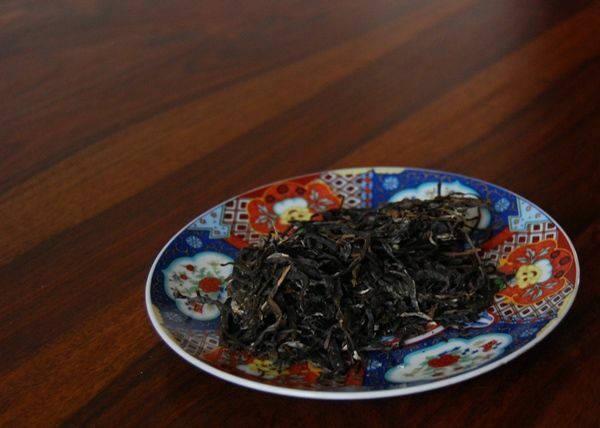 It was, incidentally, the first factory to produce dianhong, the now-popular Yunnanese hongcha (where "dian" is the single-character reference to Yunnan). The company is based in the town of the same name, within Lincang diqu. 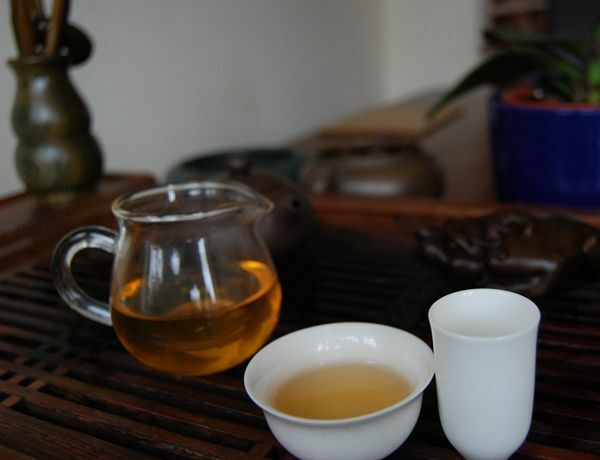 I usually accord the productions of Fengqing with even greater respect, because Lincang teas are generally "my thing", with their rustic, grain-like sweetness that can deliver a hefty punch, as well as taste delicious. 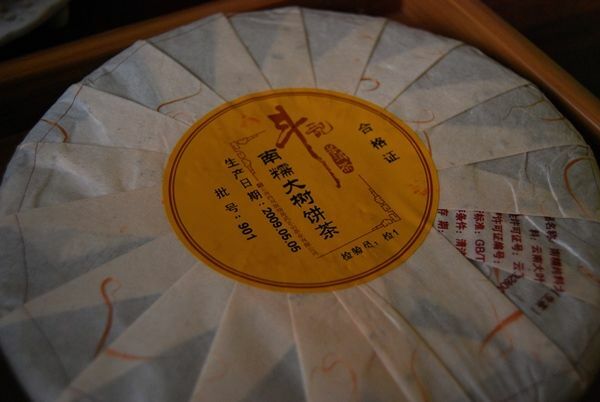 On checking my "tasting notes" page, I see that the only cake I have actually written about is the 2007 Fengqing "Jiulong Tianxiang", a gift from a cousin, which was unfortunately ruined from its storage. This "Daohuaxiang" [rice-flower scent] cake, therefore, offers the opportunity to redress the balance in Fengqing's favour. Edit: silly me, this is actually from Fengqing Sunning, rather than Fengqing proper. Boom: the first infusion is precisely that for which I was hoping. 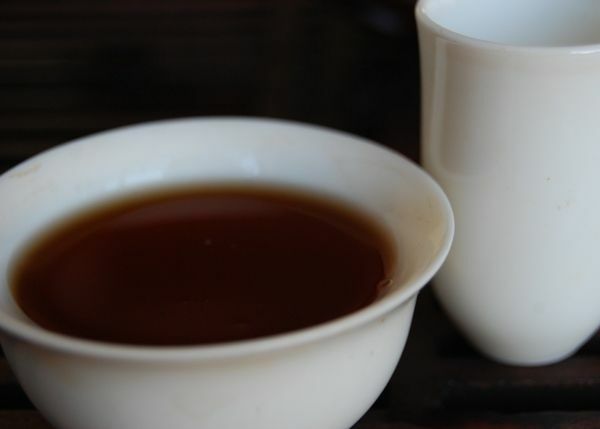 It is potent, punchy, heavy on the kuwei [good bitterness in the throat], and absent sewei [roughness and astringency]. Underneath the enjoyable sweetness is the longed-for base of granary characteristics. Its small, fragmented leaves (shown above) deliver a smooth entry, but a long-lasting and most rewarding sensation that dominates the senses. 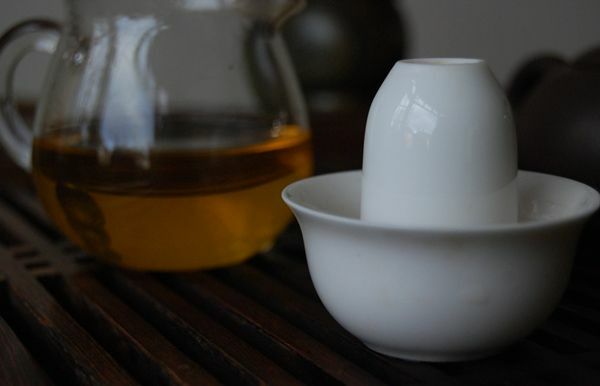 Even its scent is fine: the aroma cup is filled with fat, robust sweetness of a kind reminscent of heavy molasses. Better yet, these characteristics last for infusion after infusion, and, while I can drink no more after some dozen or so brews, the tea shows no sign of cracking. It also reminds me of... Mainland tea. It has the welcome feeling of a traditional cake, of the kind that I tend to encounter only in Mainland China. The hand-selected, single-mountain varieties with which we are now familiar are a very different type of pu'ercha. Here, with the Fengqing, the emphasis is on fatness, boldness, and... something indefinable that really just takes me back to peaceful afternoons sat here and there in Maliandao. I will endeavour to collect my thoughts on the subject to come up with something coherent; in the meantime, I note that this is somehow "traditional" and "classical" in its feeling. It is not an elegant, precision pu'ercha experience, but Lincang cakes seldom seem to be. Instead, they are present, real, and very enjoyable. I found myself actually loving this cake, much to my surprise. Looking at the company's web-page, I see that this little fellow sells for a very reasonable $35, and I resolve to aquire some promptly. If you like Lincang, you might well feel the same way about this cake as I do. Thanks again to Teavivre for the genuine surprise. 2009 Yiwuzhengshan - Douji "Nannuo"
They just keep on coming, these Douji cakes, and that's fine by me. 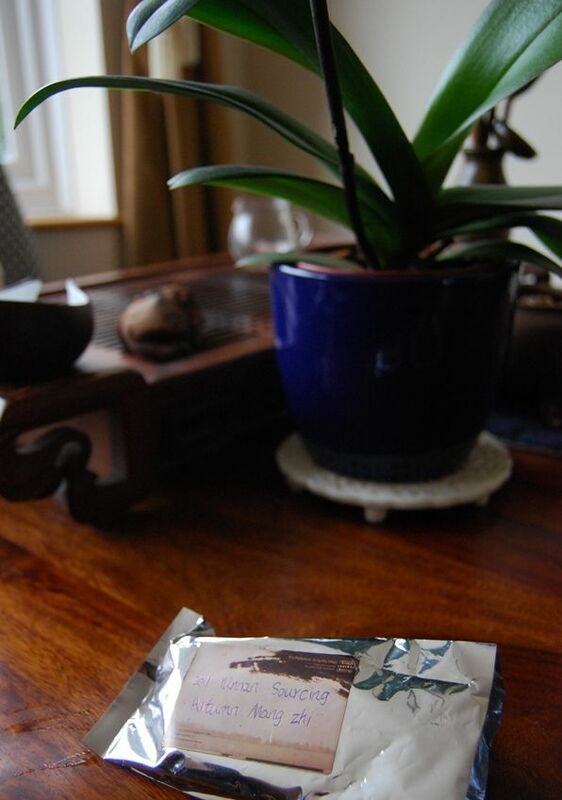 Every time I go to my shelves, I find another cake that I thought I'd tried, but where the wrapper is undisturbed. Today, it's a Nannuo cake. If Douji were just a tad lower in price, they would be perfect. 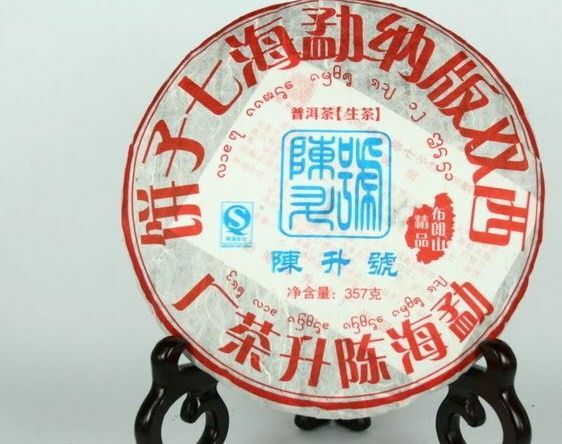 Perhaps at the moment, they tend to be priced a little higher than they ought to be, because of the perceived quality of the Yiwuzhengshan company. I like Douji, they're reliable and enjoyable, but they're not a patch on the large-leaf, hand-selected cakes that we are fortunate enough to encounter every now and again. However, we're always looking for a decent, stable cake to buy when it comes to pu'ercha, and, at the very least, you know that Douji cakes are not going to be bad. They're not even going to be average - they're going to be at least "good". Perhaps I'm damning them with faint praise, but that's the reality of the situation, in my estimation. This cake is really very pretty, as you might gather from the images above and below. 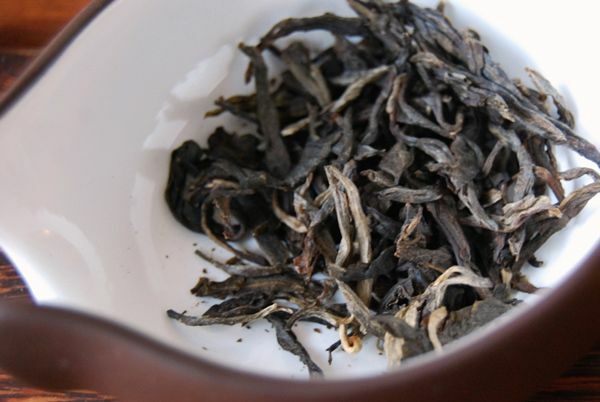 Douji single-mountain cakes are a step above their various "-dou" blends, and it really shows in the quality of the leaves that they've selected. They are big, glossy, and well-maintained through processing. Actually, the base cost of these cakes can be quite low - as low as 180 RMB. That's perhaps not too low if you're used to Mainland prices, but we're a long way from the Mainland. 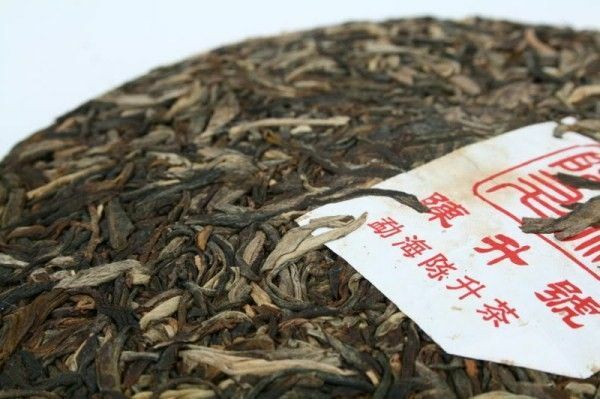 After packaging, Taobao-handler fees, and all sorts of other inflationary additions, it can work out about the same price as some of the Western vendors, but it's not a huge amount to pay for such good leaves. As ever, I like this cake, but I can't get too excited about it. It'll definitely provide you with a reliable insight into the character of Nannuo, with its sweet-and-floral brightness of flavour, and its decent, enduring kuwei [good bitterness in the throat]. It doesn't soar through the sky, as do some of the Nannuo cakes from Essence of Tea over the years, but, then again, it doesn't cost as much as the latter. It's a good place to start, and a reliable addition to any collection. It's just... a little bit closer to the mainstream than I'd otherwise buy, these days. Dahongpao is a funny thing. The six mother trees from which it has traditionally been made, growing in the Jiulongke region of Wuyishan, have, of course, been protected since 2007. 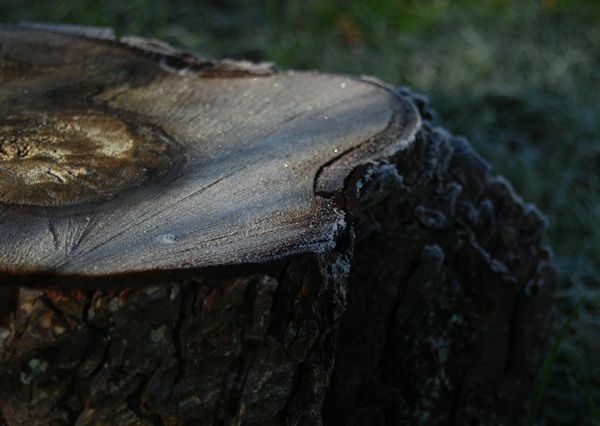 A number of clones of these mother trees exist, which have become celebrated in their own right as the "next best thing", now that it is prohibited to pick leaves from the mothers. I recall visiting Postcard Teas in London, and being shown a spreadsheet by the owner, Timothy, detailing the quantity of leaf picked per year, and the corresponding price per kilo, for each of a set of first-generation clones. 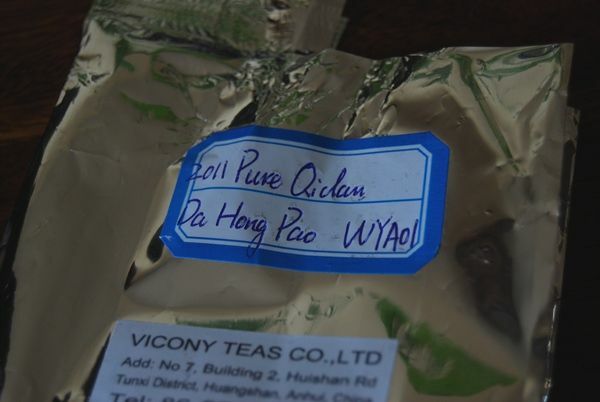 Vicony Teas recently contacted me, with a generous offer of some yancha from their collection. 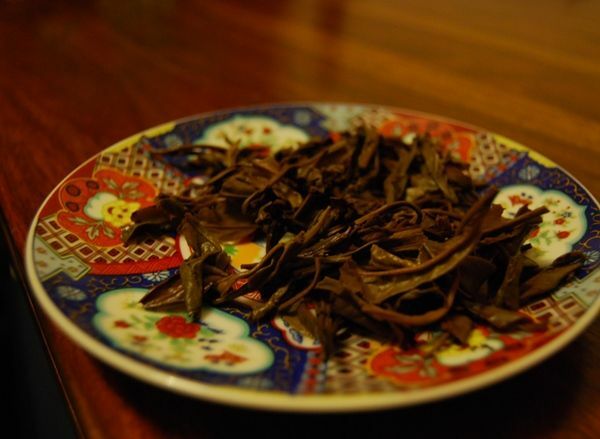 One of two samples that they sent, this Dahongpao comes from the 15-year-old Qidan [ch'ee dan] clones growing in the Foguoyan [Buddha County] region, and which is part of the "zhengyan" [proper yancha] area. 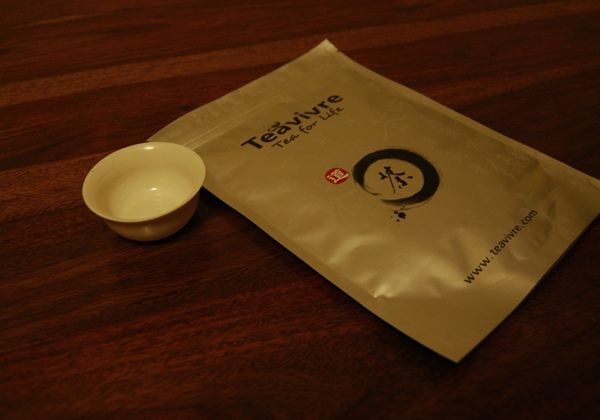 Opening the sample bag releases an advanced, potent aroma of juicy yancha into the room. 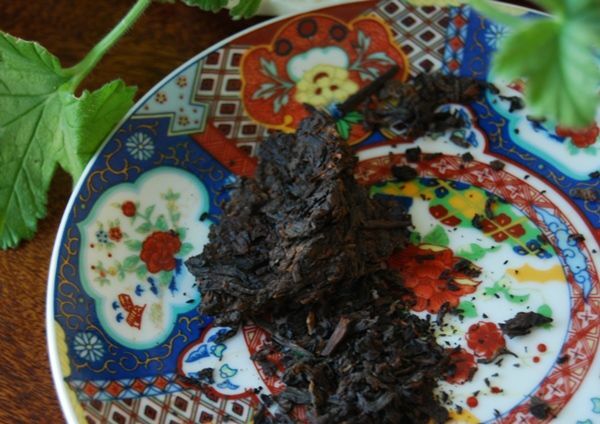 As shown above, the leaves are pretty, and long, and about the colour that one would expect for Dahongpao. I can't remember the last time that I had a good yancha, and so this is considered to be something of a treat for me. Concordantly, I bring out my yancha pot from its slumber in the dark recesses of our teapot cupboard, which is shown below. She is so seldom used that she doesn't even have a name, which is unusual for my teaware (as the regular reader may have gathered). She was bought from Maliandao by my dear wife some years back, and is very well-suited to the sweet-yet-husky nature of yancha. 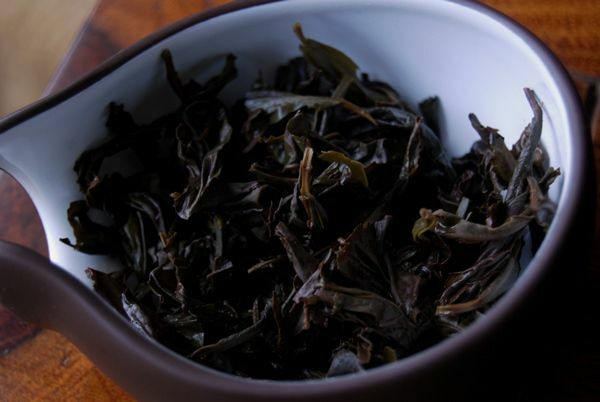 I find it very hard to overbrew yancha, and this affords the ability to pile tons of leaves into the pot, giving a thick, robust brew with plenty of character. The resulting soup is a heavy orange, as pictured above, which is particularly clean. The aroma is something to behold: it is a shifting, dense mixture of lychee, butter, and many other complementary sweetnesses. It seemingly dwells for ever in the aroma cup. Likewise, the soup itself tastes remarkable: it is more of the same, but with a strong, numbing sensation on the lips and tip of the tongue that defies reason. It hangs in the throat for several minutes, and rewards slow, patient drinking, with full attention. I have absolutely no idea as to the price of this tea, because Vicony Teas seems to operate a policy of "request the price list". 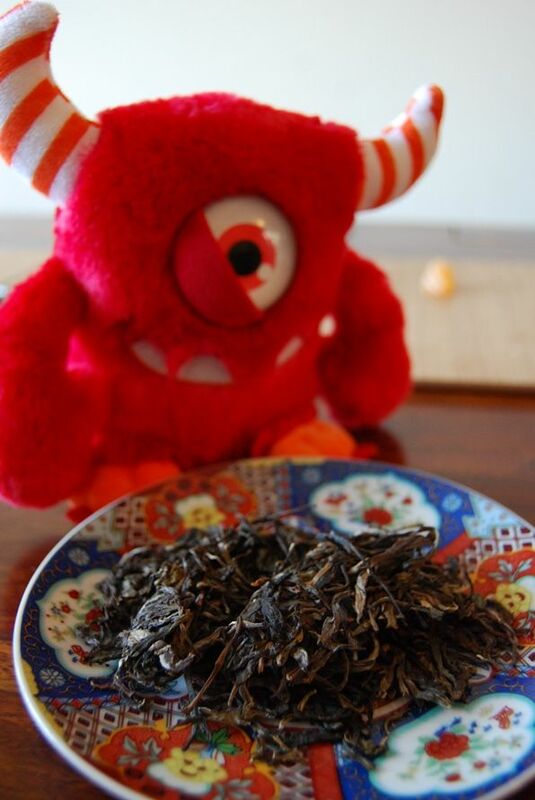 It certainly is one of the most potent Dahongpao that I have encountered; however, the fearsome price of some of these popular yancha varieties can make the wallet quake in terror, and so I don't expect it to be inexpensive. In small quantities, it is a treat to behold and well worth the session. Thanks again to Richard for the sample. Addendum: This is priced at $380/kg, Vicony's most expensive product. I've had some data concerning humidity and temperature lying around for some time, and have yet to write them up; a recent article by His Grace, the Duke of N prompted me to do so - these latter are always a great pleasure to read. Some months ago, I accumulated weekly mean humidity and temperature data in a comparison of my local climate and that of Guangzhou, on the south end of the Chinese Mainland. 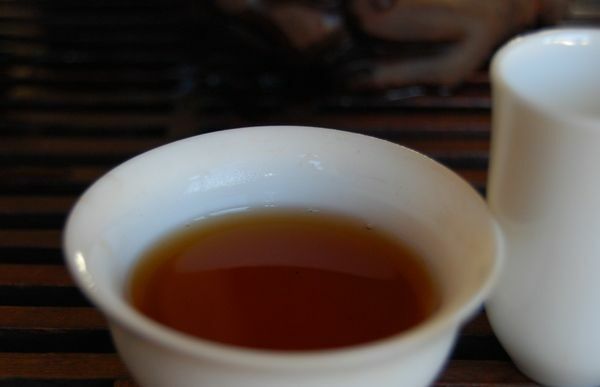 I remember recently drinking some of Keng's delicious Singaporean-style shengpu, followed by a sample of something provided by my friend KC of Hong Kong, which caused me to wonder about the quantitative differences between the climates in my city, and in more traditional Oriental storage locations. It probably should not have surprised me to learn that our damp little island has an amusingly high level of humidity. Lin Yutang, one of my favourite authors, attributes the "soft skin" of the English to this dampness. It is interesting to note in the above comparison, however, that our annual cycle appears to be in antiphase to that of Guangzhou: our humidity is at its highest in winter; the Chinese city's humidity peaks in summer (tropical). Of note is that the minimum Oxford humidity is around the maximum of the Guangzhou data. The concern about humidity is that central heating can dry the air. I have attempted to mitigate this risk by not directly heating our tea-room; the air inside is instead maintained at the humidity of the exterior climate. However, bringing tea back to England never really worried me in terms of humidity; my primary concern was due to the temperature. Oxford, and indeed England, is not famous for its high temperatures - we are a dark, northern-European kingdom, after all. The time-series above compares weekly mean temperatures for the same two cities, where we can see that there is a mean-shift of around 20 degrees Fahrenheit between the two. The mean temperature in Oxford is around 15 degrees Celcius, reaching some 20-to-25 degrees Celcius in the summer (although they have peaking at 34! ), and descending to around 5 degrees Celcius in the winter. The temperatures in my tea-room are maintained at a mean of around 20 degrees Celcius by the intrinsic heat of the structure of the house. This was, for a long term, my greatest concern, given that the humidity aspect was fine (and actually somewhat excessive). Ultimately, the true arbitors are the cakes themselves. Long-term readers of this humble blog may recall various re-tasting exercises (which are enumerated in my Musings page, listed under "English Storage, I, II, ... V"). The evidence from our collection, and from that of teachums (inc. Nada) suggests that England's particular combination of excessive humidity and cooler temperatures results in some fairly decent aging. However, it is aging of a particularly curious sort. 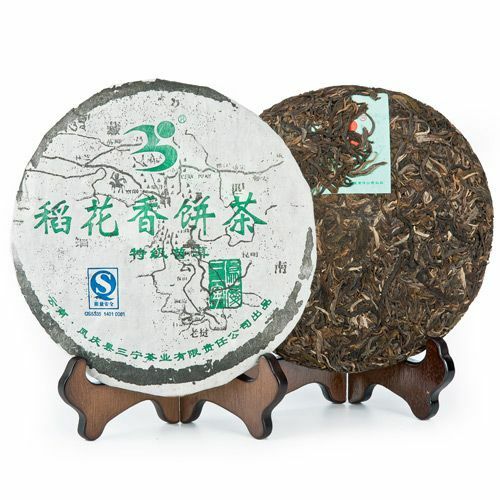 At one end of the aging spectrum, we have "South China" (the geographical region, which I take to include Singapore, Taiwan, and Malaysia,), which results in the familiar form of "traditional storage", in which we taste classical aging profiles. Some of my favourite cakes are in this genre. At the other end of the spectrum, we have Kunming- and Beijing-style storage, where humidity and temperatures are lower, and which result in the "dry" cakes that are becoming more prevalent. Our English storage is a peculiar midpoint in this spectrum, due to the excess humidity, but low temperatures. 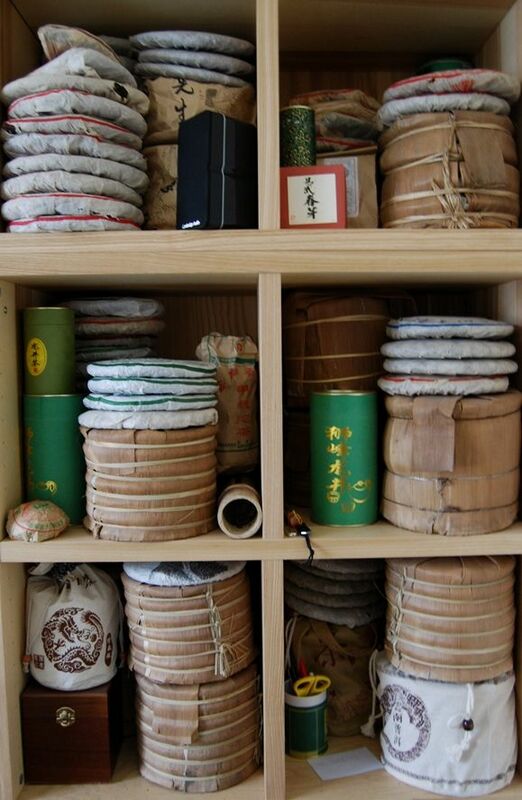 The cakes are not aging rapidly and darkly, as do South-Chinese cakes, and yet they are aging rather well. I cannot say how this environment, and the conclusions that we tentatively draw from the evidence acquired to date, can be extrapolated to other places. I wouldn't like to make any claims about storage elsewhere in Europe, or in the US, for example. However, I will offer the now quite reasonable body of evidence that the combination of humidity and temperature, as shown in the graphs above, and which represents the conditions of storage in England, has resulted in some very pleasant outcomes in the last seven years. His Grace, the Duke of N wrote that "temperature is the most important aspect", and it is here that I would like to offer a countervailing opinion. While temperature is clearly important, the high humidity in England appears to be the deciding factor that keeps our cakes alive. Although we have lower temperatures here, the cakes are a fascinating combination of "traditional" and "dry" - they are slow to age, and yet they are moist, succulent, and flavoursome. In a recent round of re-tastes (notes of which are dispersed throughout my various articles), I have found many pleasures in our older cakes, aged here in England. I speculate that the lower temperatures may merely reduce the duration of the "aging season" each year, which occurs during the summer. It could therefore be that our English cakes spend longer "asleep" each year than their Oriental counterparts, because our colder season (during which the cakes slumber) is longer. However, our evidence suggests that Lin Yutang's tongue-in-cheek statement concerning the beneficial effect of the humidity on English skin may also extend to the preservation and development of flavour in our pu'ercha. It is a development much slower than that of cakes in South China, undoubtedly, but it is a long way from the "dry" profiles of Kunming and Beijing storage. We'll see in another decade, I suppose, but the interim evidence is encouraging. I consider our own experiences to be just one data-point in a much larger picture, as pu'ercha becomes distributed throughout the world. Setting aside my calligraphy brush, Zen sutra, SLR, poetry-book, tetsubin, and guqin, I thought it high time that I try the 2011 version of an autumnal cake that really rustled my proverbial jimmies during 2010. The 2010 version was really very good, and I wrote about it. 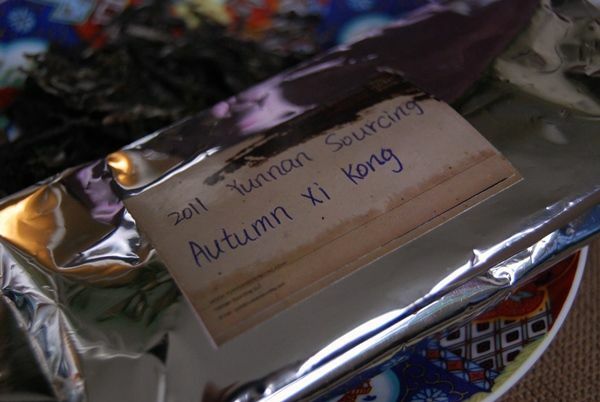 Before my lazy / busy self finally got round to returning to the Yunnan Sourcing web-pages, they sold out. 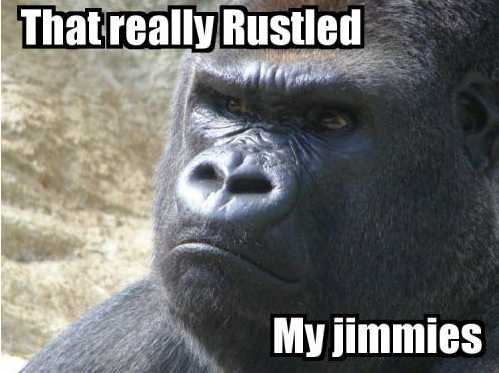 The jimmies, they were a-rustlin'. I solved this problem by whining like a schoolgirl to Scott, the proprietor. He kindly sold me some that he'd set aside for his web-site about to debut in the colonies, although the price had substantially risen as a consequence. Nonetheless, I had to have them. The Xikong was my precious. You are undoubtedly familiar with the old proverb: "rustle my jimmies once, shame on you; rustle my jimmies twice, shame on me." Being distinctly averse to jimmie-rustling in (almost) all its forms, I got a jump on the game this time around, and resolved to be less lazy about buying cakes if they turned out to be good. So, forgive me this once, but I have tried this cake many times, and actually got around to buying it. 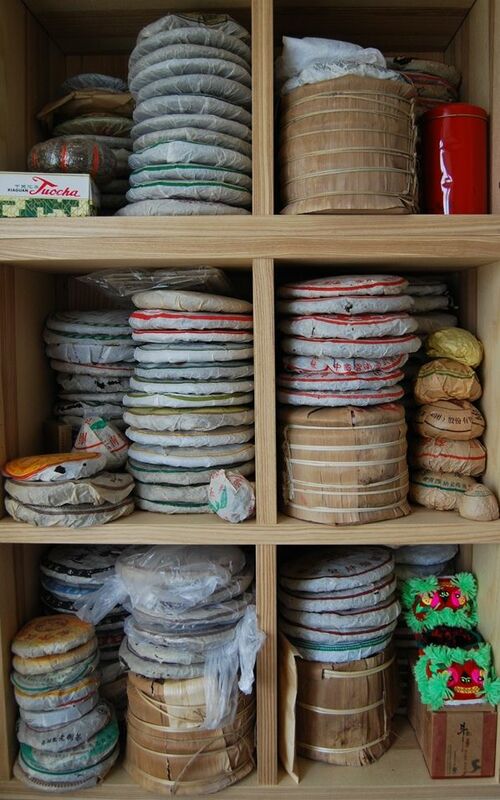 Xikongzhai [shee kong djai] lives between Manzhuan and Yibang, in Mengla County, which explains the common characteristics shared, to various degrees, by the cakes from these areas. If you're of a mind to examine this for yourself, Scott sells cakes from each region. The greater Yibang region is famed for its small leaves [xiaoye], and the above images give an indication of the extent of their xiaoness. Happily, the blend includes plenty of tips and base-leaves alike, which can only help to improve its depth-of-character, we might assume. Even the photograph above is causing my feet to start pulling me in the direction of the tea-table. For some reason unbeknown to me, I am listening to bluegrass on this peaceful Saturday morning, while drinking this tea. The combination is rather good, in fact. Perhaps its the thought of chewing on a piece of straw that links the music with the tea. I have been generous with the leaves, because autumnal cakes are not very punishing. I wrote the following in my diary: "the result is actually magnificent". It really is rather good. The complex wild-flower scents mix with a rich, leathery base, much beloved of tea from that region, and yet it is all well-supported by a core of sweetness and bitterness. 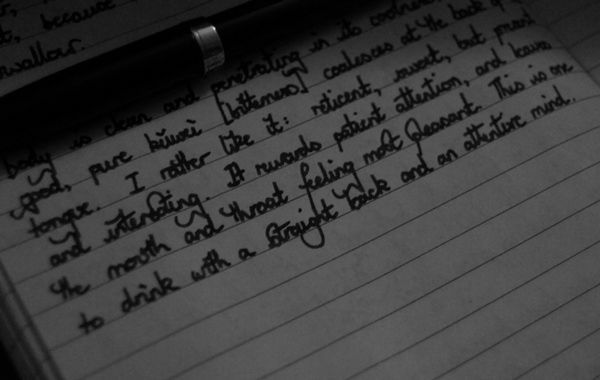 "It fills the mouth and the imagination", I wrote, probably overcome by dodgy poesy at the time. It is a crime to drink this tea in any manner other than slowly, giving it the full attention. I think Xiaohu had been taken out for a walk by his Nainai at this stage, which explained the peace in the house. Not that my dear son destroying things isn't restful. The test for these autumnal teas is, really, how they hold up under extended brewing. They usually tend to be a bit weak and underwhelming. Like its predecessor, the 2011 version continues to produce strong, interesting soup after two hours (which is aided by my use of plenty of leaves, it must be noted). 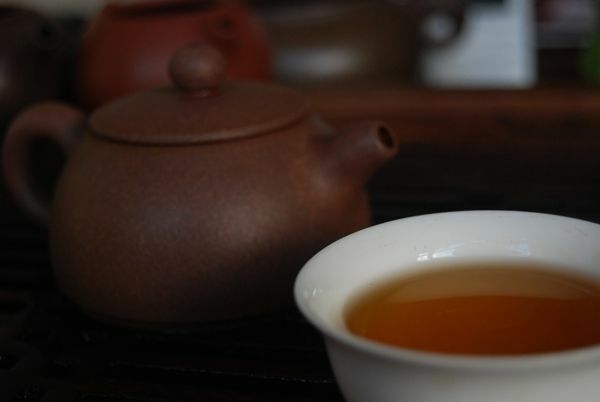 Repeated sessions at other times allowed me to draw similar conclusions: I enjoyed its potency; its clean, granary sweetness; its tongue-gripping kuwei [good throaty bitterness]. All of these give me hope for good aging prospects. 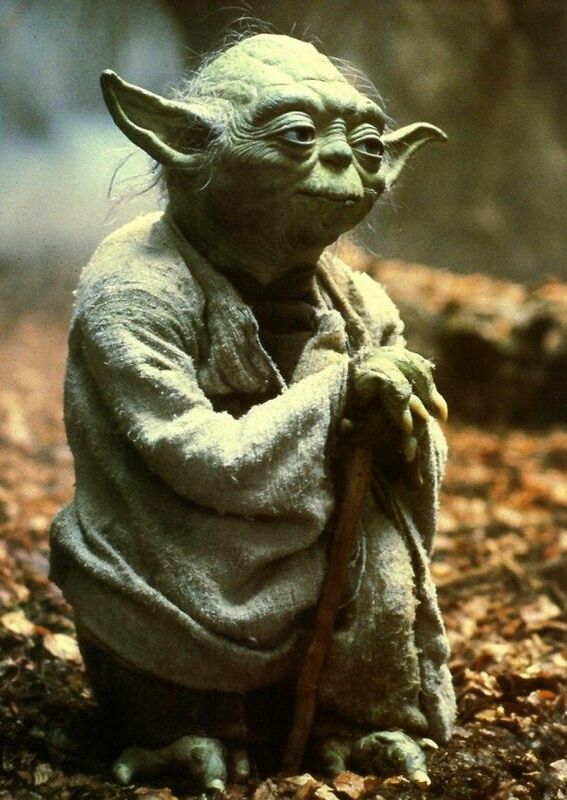 Brew this tea as strongly as you dare, but brew it you must. Chenshenghao is nominally one of the favourite brands of the owner of Red Lantern Tea, who is a rather accomplished (professional?) photographer by the name of Jongky. 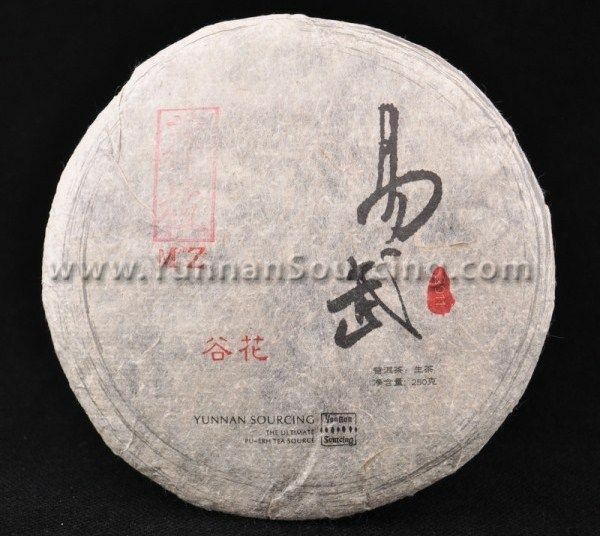 I found the 2008 Nannuo and the 2008 Yiwu to be "red" cakes, not to my taste. Thus, this sample was relegated to the nether-regions of the location used to store my samples: n-dimensional Sample-Space (which is actually a reproducing kernel Hilbert space, for those keeping track at home). The time for its redemption from Sample Space has come. We fire up the kettle. 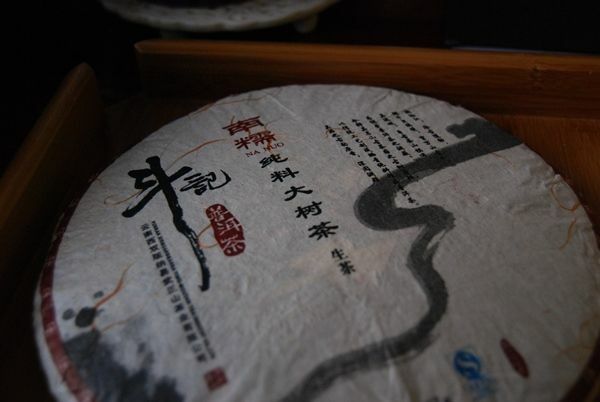 The wrapper, pictured below, adheres to the school of "call it Menghai and perhaps people will buy it": writ large over the top is "Xishuangbanna Menghai Qizibing". The leaves are, as in the photograph, large and well-maintained. My sample was less tippy than might be expected from the image shown above, but it is possible that the surface of the cake has a little more "hair" than the interior. Either is fine, because I'm not obsessive about including white tips - in fact, white tip cakes can be sweet, easy-going, rather weak affairs, leading me to prefer "real" leaves. Naturally, a range of all leaves leads to a good range of characteristics. I was pleasantly surprised by this cake, given my poor experiences of its two cousins from 2008. The body is smooth, and there is a heavy sweetness present. It is a cake that develops momentum, which is unusual these days: the kuwei [good bitterness] is not strong at the outset, but builds during subsequent infusions. 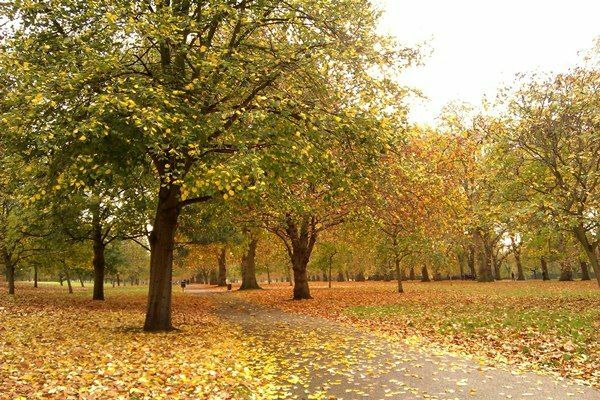 This suggests that the leaves are slowly giving up their contents, and their continued endurance suggests that they have quite a lot of contents to give. I rather like it: reticent, sweet, but present and interesting. It rewards patient attention, and leaves the mouth and throat feeling most pleasant. This is one to drink with a straight back and an attentive mind. If pushed hard, the husky finish and some plantation "green" becomes apparent. 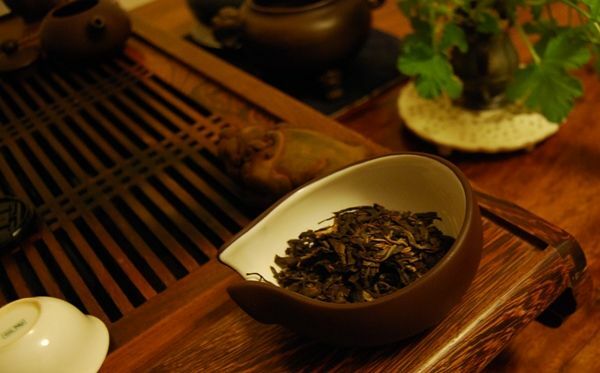 However, the cooling sensation suggests that there is at least a small proportion of old-tree leaves in the blend. $40 seems a touch much for a good, but basic, cake. It is available for 180 RMB ($28) via Taobaowang, but, after all of the subsidiary fees, it would probably work out about the same to buy it from Red Lantern. It didn't strike me as a potent Bulangshan cake, but it was a good session. A solid mainstream cake, if unexalted. It knocks the socks off its two 2008 cousins. Mangzhishan is in the popular, oft-mentioned Mengla County of south-eastern Xishuangbanna, and yet you don't often see Mangzhi as being accredited in single-mountain cakes. 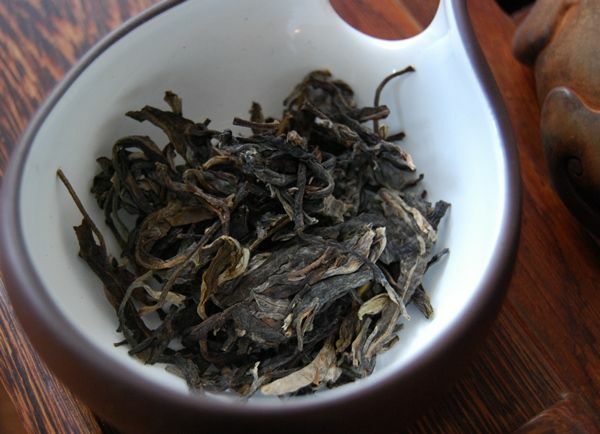 One of the only examples I have tried was very recently the 2005 Yichanghao version. The latter was quite "orange", and therefore did not allow me to gain any insight of the characteristics of this mountain. 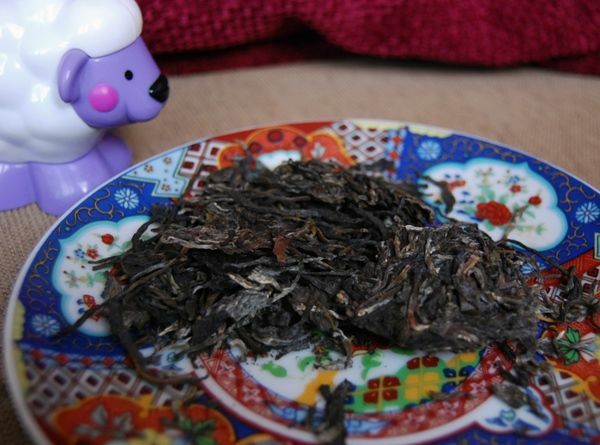 Hopes remain for Scott's version, due to his preference for largely raw, lightly-processed shengpu. The blend is, shall we say, "rugged". It contains everything from tips to substantial sections of twig and branch. This is fine by me, because I like a little brusqueness in my pu'ercha. Not for me, the one-dimensional nature of tippy "high grade" (i.e., tiny-leaf) pu'ercha. 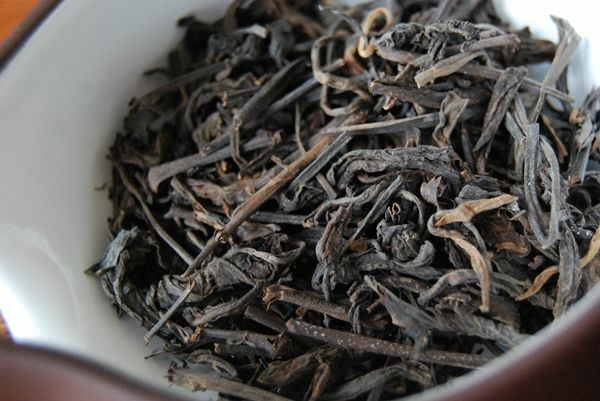 The maocha has a noteworthy aroma of fruitiness, which is strong despite the cold winter climate that traditionally mutes all scents in my tealeaves. My hopes for an honest, "lightly processed" cake remain after seeing the pure yellow colour of the soup, which darkens actively in the air. 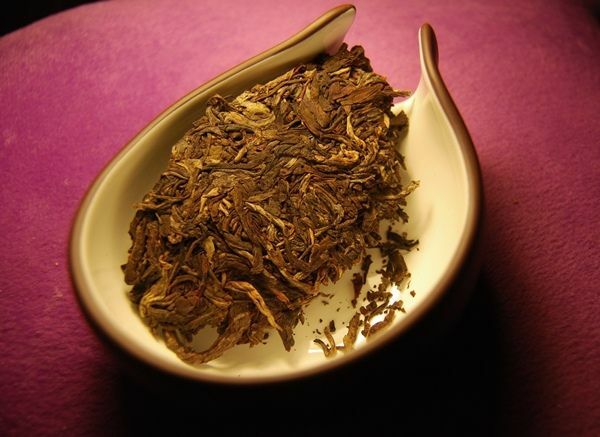 The first infusion is an excellent combination of heavy tobacco and purple fruits, delivered by a thick body. While the complex characteristics of young pu'ercha can fade after the first few infusions (and are typically one of the first aspects of the cake to disappear during aging), this tea remains decent throughout the session. 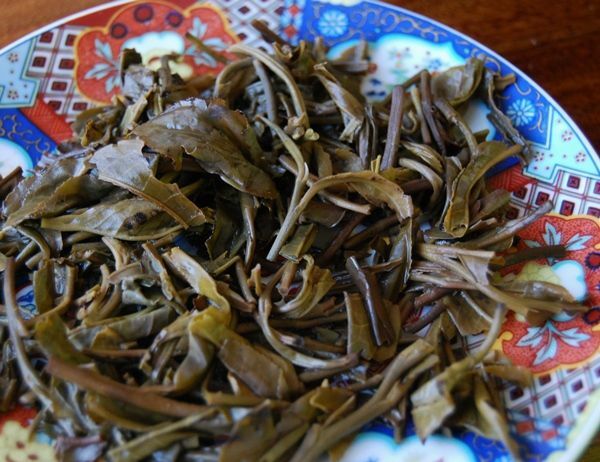 Even after considerable brewing, the leaves remain rich and low in their flavour. 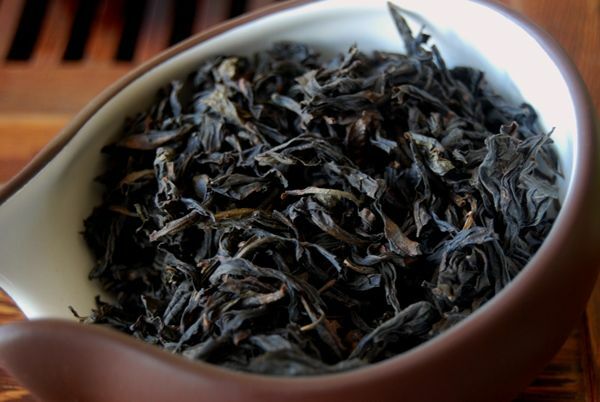 This may have benefitted from me using a considerable quantity of leaves: autumn tea is not as punchy as its springtime equivalent, which allows me to fill the pot, resulting in a thicker body than one might otherwise expect. 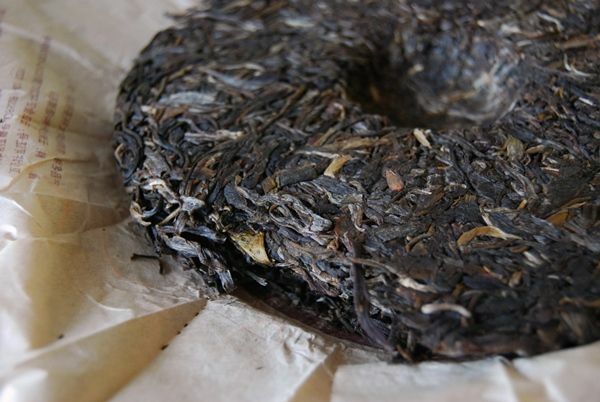 Amusingly, I note after drinking this cake that Mangzhi is close to both Xikong and Yibang villages, north of Yiwu, both of which are areas that make rich, challenging tea that I have enjoyed in the past. Perhaps it is no surprise, then, that neighbouring Mangzhishan should prove so pleasing to me. Today's article is an oddity, because it represents a whole series of tea sessions, the focal point of which was this 1970s Tongqinghao. The article exists really as a testament to the generosity of my long-time teachum from Hong Kong, KC. Tongqing was a famous teahouse during the 18th century, so they say. There is, unsurprisingly, a modern brand trading under the same name. However, this modern brand is really quite modern, being founded within the last decade or so, and so we are left with the mystery as to the exact identity of this cake. Packed full of smooth, powdery, granular characteristics, this Tongqinghao cake, whatever its origin, has resulted in many happy sessions. 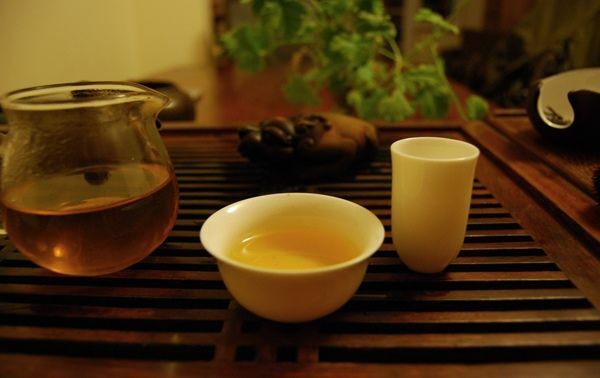 These periods typically start at home, at the tea-table, and then the used leaves accompany me to my lab for brewing in the background, where I appreciate them over long hours. So, to Mr. KC I send my most grateful thanks for a tea that has been treasured. It is worthwhile recalling that Tongqinghao and Tongxinghao are different enterprises, although both are brands that have ancient and modern counterparts.